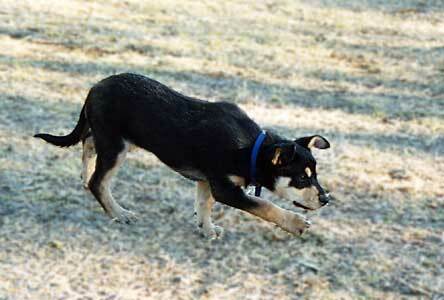 Karmala Kelpies are bred from old bloodlines concentrating on clever mustering dogs. Emphasis is put on a friendly, calm temperament, natural working ability and sufficient strength. The dogs are of good type, fed a raw diet for future soundness, and bred carefully to avoid known health problems as much as possible. The stud has been based in Queensland for over seventeen years. 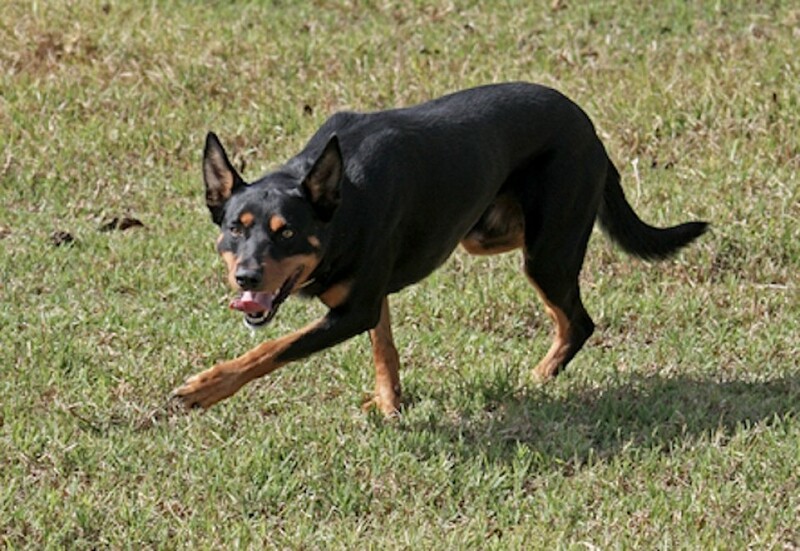 “I always select a dog that is friendly, wants to be with you, to work as a team with you. You can tell those characteristics at a fairly young age.” I couldn’t agree more. 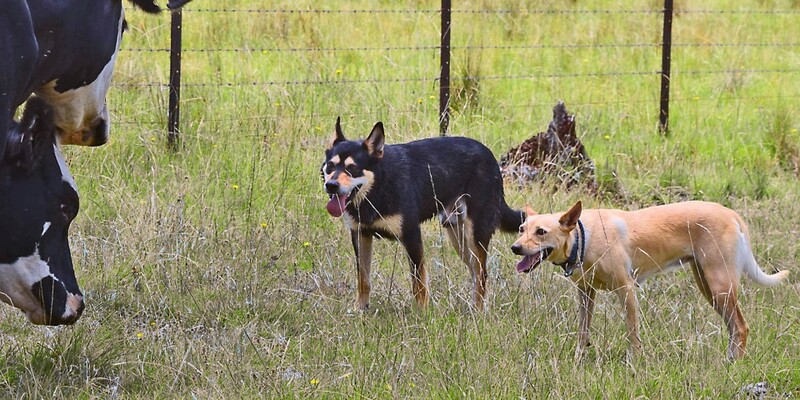 I like dogs that can work with a little distance off their stock when young and keep a small mob together.They should be happy to hold when they have them balanced. My dogs should also be capable of firing up for yard work… I don’t guarantee that every pup will comply exactly with this description, but some do, judging by this email received from a pup buyer some years ago entitled ‘Zen and the art of sheepdog handling’….. I know just how he feels. 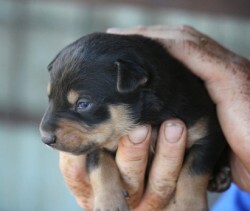 It was many years before I owned a really good, well bred dog; my father was typical of those who lived through the Great Depression and thought buying a pup when you could get freebies was a waste of money. Well, looking back, I can guarantee that attitude caused a huge waste of time and patience! Once your stock work becomes a pleasure and you start looking forward to taking your dogs out, you’ll never settle for second best again. 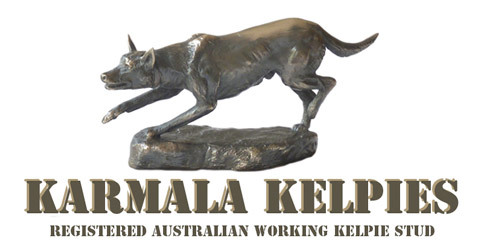 With the cooperation of other Kelpie breeders I hope to preserve those traits that originally made the breed such an invaluable asset and leave behind some good Karmala dogs that pop up in pedigrees for many years to come!